Civil liberties and immigration rights advocates are applauding a ruling decision by a federal judge New York on Tuesday after the court struck down the Trump administration’s attempt to insert a citizenship question in to the 2020 Census. Ruling on a lawsuit filed by the New York Immigration Coalition (NYIC), the ACLU, and other groups, U.S. District Judge Jess Furman said that Commerce Secretary Wilbur Ross, who oversees the Census, acted illegally when he requested that the question be added. Ross had previously claimed that the Justice Department (DOJ) had originally requested the question, which was to read, “Is this person a citizen of the United States?” But the lawsuit filed by the groups revealed that Ross had actually consulted with former White House strategist—and open white supremacist—Steve Bannon. Ross’s addition of the question violated the Administrative Procedures Act, the judge ruled. BREAKING: A federal court rejected the Trump administration’s inclusion of a citizenship question on the 2020 census. This victory in our case is a forceful rebuke of the administration’s attempts to weaponize the census to attack immigrants and communities of color. Ross has claimed that the addition of the citizenship question—which has not been included on the U.S. Census since 1950—was necessary to make sure the government could better enforce the Voting Rights Act to ensure that minorities are not discriminated against. In his ruling, however, Furman determined the claim simply didn’t stand up. “The evidence establishes that Secretary Ross’s stated rationale, to promote VRA enforcement, was pretextual—in other words, that he announced his decision in a manner that concealed its true basis rather than explaining it,” wrote Furman. 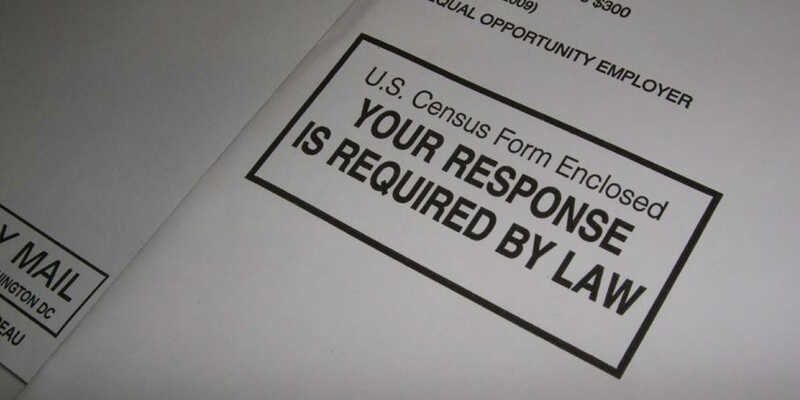 Critics argue that far from ensuring enforcement of the Voting Rights Act, a citizenship question would cause many in immigrant communities to go into hiding and refuse to answer the Census next year, resulting in an undercount. An inaccurate Census can keep billions of dollars in federal funds from reaching communities, and threaten political representation as new determinations are made about how many representatives states should have in Congress and state legislatures. Common Cause president Karen Hobert Flynn expressed relief at Furman’s ruling, as well as dismay at the Trump administration’s blatant attempt to rig the 2020 Census. Furman’s ruling is expected to be appealed and eventually end up before the U.S. Supreme Court. The nation’s highest court is also scheduled to hear oral arguments next month regarding whether Ross can be questioned under oath about his decision to include the citizenship question. Despite the likely appeal, Thomas Wolf of the Brennan Center for Justice expressed optimism regarding the ruling—with several other lawsuits over the citizenship pending in states across the country. This entry was posted in Civil Rights, Corruption, Economics, Elections, Government, Immigration, Social Justice, Uncategorized, Voting, Women's Issues, Workers' Issues and tagged Administrative Procedures Act, Brennan Center for Justice, census, Civil Rights, Corruption, Democracy, Department of Justice, Economics, Elections, Equality, immigration, Jess Furman, Kris Kobach, social justice, Steve Bannon, Voting, Voting Rights Act, Wilbur Ross, Women's Issues, workers' issues on January 16, 2019 by MNgranny.